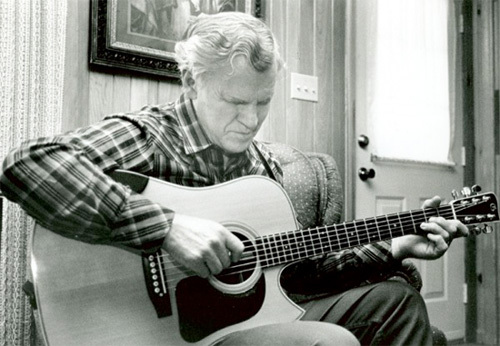 If I had to choose one mentor that I have learned the most from it would be Doc Watson. I consider him my “musical father.” Having been inspired by his music as a young man, I first met Doc in 1972. 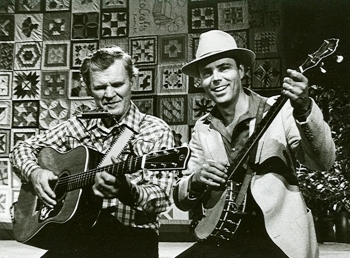 We worked together closely when he and Merle appeared on my TNN TV series Fire On the Mountain in 1984. Shortly after that Doc and Merle helped me record Reel & Rock (re-released in 2010 at the 25th anniversary). 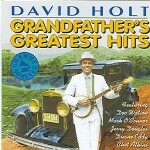 In 1989 Doc helped me record Grandfather’s Greatest Hits and we occasionally did concerts together over the next nine years. Doc asked me to start performing with him in 1998. In that year UNC-TV (North Carolina PBS) aired an hour long special that Doc and I presented. As soon as it aired sponsors started calling to book the show. We called it “Hills of Home” and have been on the road doing several shows a month for 13 years. Performing and traveling with Doc has been one of the high points of my life. There is nothing like being on the road that brings out the stories.